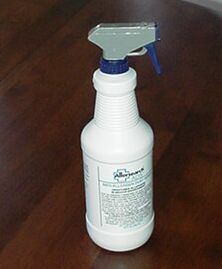 PRODUCT DESCRIPTION: Liquid spray for treating furniture and carpeting which is harboring known allergens like pet dander, people dander, dust mite sheds, pollen, etc. It works by denaturing the allergens so they basically are not able to get air borne. By prohibiting this from happening the allergens are not able to impact local residents. 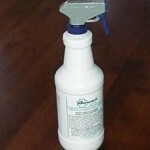 Excellent to use year round in homes where allergic people reside. WHERE TO USE IT: Furniture, carpeting, toys, etc. RATE OF APPLICATION: Quarts cover up to 600 sq/ft and should be applied every 2 months.